Every few weeks or so, we hear news that another player has defected from Cuba in hopes of making it big in MLB. It happens so often nowadays that these reports are easy to overlook. For every Yasiel Puig or Yoenis Cespedes, there are several players who flame out in the minors. Most defection stories involve sneaking out of Cuba at night, often on a small boat or raft. Some, like Puig and Marlins right-hander Jose Fernandez, had to make numerous attempts to leave the island before being successful. In Puig's case, he left the country with the help of smugglers who eventually demanded a ransom. The details of White Sox slugger Jose Abreu's escape from Cuba have remained a mystery until now. Through a series of interviews, Jared Hopkins of the Chicago Tribune was able to piece together Abreu's defection story. It appears he made it out with his brother-in-law on his first attempt, leaving his wife, son and family behind. "I've heard Abreu's story, and I thought mine was crazy," said teammate and fellow Cuban native Adrian Nieto, who came to the U.S. on a raft with his family when he was 4. "Him being on a little boat with just two motors and these two huge ships got in between them. He said the waves were 15 feet high and he thought they were going to drown. It's crazy." Abreu told the Tribune he decided during last year's World Baseball Classic to defect. "I realized I could go elsewhere with baseball," he said in Spanish. "Everyone knows we're here playing in the world's best baseball league. The differences [with Cuban baseball] include the level of professionalism among players here." When Abreu reached the Dominican Republic, he lived in Santo Domingo, the nation's capital, and Santiago, about two hours north, said Amauri Morel, who works at Praver Shapiro Sports Management. Morel, based in the Dominican, said he provided "client services" to Abreu -- helping with housing, for example -- and brought the slugger to train at various parks and stadiums. The White Sox signed Abreu to a six-year, $68 million contract last offseason, which was a record for an international player at the time. He bought a modest house in Miami after signing the deal, where his parents and sister now live. It's unclear if Abreu's wife and son are still in Cuba. Abreu did not share any details of his defection with the White Sox before signing his contract. Team president Kenny Williams told Hopkins that signing Abreu was "just like any other acquisition ... You try to get as much information as to the makeup of the player, mentally, emotionally. His makeup on the field -- Is he a leader? Is he a respectful-type person? Is he a flashy-type person? How does he fit into the team?" Hopkins' article is quite long but well worth the read. It covers some more details about Abreu's life in Cuba as well as his transition to the United States. He is hesitant to discuss his defection but did say he was thankful for his newfound freedom. "In Cuba, people don't attain that. I'm thankful for my life, but it's something I've never experienced, and I'm thankful for everything." Jose Abreu's harrowing journey to the White Sox began last year on a small boat on the shores of Cuba. "I've heard Abreu's story, and I thought mine was crazy," said his teammate and fellow Cuban native Adrian Nieto, who came to the U.S. on a raft with his family when he was 4. "Him being on a little boat with just two motors and these two huge ships got in between them. He said the waves were 15 feet high and he thought they were going to drown. It's crazy." Abreu, the front-runner to win the American League Rookie of the Year award Monday, became the 17th Cuban player for the Sox, building on a legacy rooted in the legendary Minnie Minoso. Nine Cuban-born players, including the Cubs' Jorge Soler, made their major league debuts this season. Over the past 50 years, at least five dozen Cubans have reached the majors with scores more playing in the minors. While Cuba remains a wellspring of baseball talent, its players don't leave the country freely. The U.S. government imposed a commercial trade embargo on Cuba more than five decades ago, and the Communist government there prohibits players from signing with major league teams. But the lure of freedom and baseball dreams is strong, so young men are willing to take giant risks for themselves and, sometimes, for their families. Players sneak away from a team during a tournament in a foreign country — or, more treacherously, hire smugglers to ferry them off the island. The recent wave of players can be linked to the rising financial payoff not just for players, but also for those who compose well-oiled smuggling rings: boat drivers, middlemen, government contacts and other colorful characters. At the same time, teams scout Cuban players better than ever, thanks in part to easy access on the Internet and added international competition such as the World Baseball Classic. "At a minimum, 95 percent of the players leaving Cuba are being smuggled out," said Joe Kehoskie, a baseball consultant and former agent who represented Cuban players. "There is always a profit motive. I can't remember the last time a decent player was smuggled out of Cuba and there wasn't a smuggler there who expected payment." In the case of Abreu, he disappeared from the tiny Caribbean island in August 2013. About two months later, Abreu's imposing 6-foot-3, 255-pound frame emerged for a two-day showcase at the Yankees' academy in the Dominican Republic, wowing 200 baseball executives and scouts. By the end of October, he had signed the largest contract in White Sox history, a six-year deal worth $68 million. The full details of Abreu's journey from Cuba to the United States remain a secret. Abreu and his agents declined to discuss his defection. His family provided few details. A Tribune review of public records and interviews with more than three dozen people show that Cuban players often are smuggled out of their country through a clandestine network of shadowy figures. While Major League Baseball's $9 billion enterprise continues to see an influx of Cuban players, federal authorities have been investigating at least two Cuban smuggling rings. Five people have been indicted. Often leaving the island in the dead of night, players promise the smugglers upward of 30 percent of their first contract for securely carrying them between countries. Through it all, players are aided and protected by handlers in Mexico, Haiti or the Dominican Republic loosely affiliated with American sports agents before arriving in the United States. The most infamous defection reads like a Hollywood script. Dodgers outfielder Yasiel Puig and the group he escaped with were held in a motel in Mexico as smugglers negotiated a ransom. Gangsters threatened one of Puig's friends, and a smuggler turned up dead in Cancun. The affair is spelled out in a $12 million federal court case a Cuban man filed against the 23-year-old Puig, saying he was falsely imprisoned in Cuba while the ballplayer plotted with Cuban authorities to leave. "It seems to be a new ballgame out there," said Miami attorney Ben Daniel, a former federal prosecutor who oversaw human trafficking cases, including that of sports agent Gus Dominguez, who went to prison in 2007 for the offense. "It's much more cutthroat." Abreu, 27, was born in Mal Tiempo, a small neighborhood in Cruces, a city about 150 miles southeast of Havana. He was playing third base in Cuba's national school games by the time he was 7 and continued to excel. In Cuba, players compete for their province. When Abreu was 16, he made his debut with Cienfuegos in Cuba's top league, the Cuba National Series. He played 10 seasons, setting records in the last four, and in 2012 was one RBI shy of winning the Triple Crown. Unlike some Cuban players, Abreu was familiar to MLB scouts from his exposure on national teams. He compiled about 300 plate appearances outside his home country. White Sox first baseman Jose Abreu entered play Tuesday with 22 home runs — third in MLB behind only Edwin Encarnacion (24) of the Blue Jays and Nelson Cruz (23) of the Orioles. But the sensational rookie slugger doesn’t have any desire to strut his stuff in the 2014 Home Run Derby at Target Field. Blue Jays outfielder Jose Bautista was named the American League captain for the Home Run Derby and is in charge of finding four players to join him. Rockies shortstop Troy Tulowitzki is the NL captain. Abreu signed a six-year, $68 million contract with Chicago last October after defecting from Cuba. Chicago White Sox first baseman Jose Abreu shows his glove to first-base umpire Marvin Hudson, after catching a fly ball off the bat of Chicago Cubs' Darwin Barney in the seats, during the second inning of an interleague baseball game on May 7, in Chicago. GLENDALE, Ariz. -- The news of Jose Abreu's six-year, $68 million contract with the Chicago White Sox sparked the inevitable comparisons from baseball writers and scouts looking for insights on the type of player he is and ultimately can be in the major leagues. Latin American talent evaluators observed that Abreu has more raw power and significantly less athleticism and speed than fellow Cubans Yoenis Cespedes and Yasiel Puig. Some scouts and journalists brought up Ryan Howard, Mike Piazza, Kendrys Morales or White Sox outfielder (and fellow Cuban) Dayan Viciedo as players with similar attributes, while Cespedes created a stir when he mentioned Abreu in the same breath with Miguel Cabrera. No one really knows where Abreu will fall in that talent spectrum. But if you judge a man by his handiwork before the game begins, Miami Marlins outfielder Giancarlo Stanton might be the most telling comparable. Abreu, 27, possesses what one scout calls "monster power," so it stands to reason that his batting practice sessions should be replete with tales of smashed car windows and disrupted cloud formations. It would be understandable if he wanted to make a big first impression with his new coaches and teammates and fell victim to the temptation to grip it, rip it and send baseballs to regions where they're tiny specks. Yet a different picture is emerging early in White Sox camp. When his fellow White Sox watch Abreu in action, they see a diligent, focused, incredibly disciplined hitter. He's similar in that respect to Stanton, who concentrates more on hitting the ball to the opposite field than unleashing his inner Jose Canseco in batting practice and feeding the "wow" factor. "For me, it's just a professional batting practice," White Sox manager Robin Ventura said. "He's not trying to overwhelm you with hitting homers on every pitch. He moves it around. He's always hitting it on the barrel. He's just very consistent about what he does and understanding what it takes. He's not out there to showcase anything. He's just preparing to be as good as he can be." Although countrymen Puig and Cespedes helped pave the way for Abreu's big payday with their splashy debuts, Abreu brought some big-time credentials from Cuba. He flirted with two Triple Crowns while posting cartoonish numbers in Cuba's Serie Nacional, and hit .360 with three homers and nine RBIs in six games during the World Baseball Classic last March. When Abreu scheduled a workout for teams in the Dominican Republic in September, it was considered must-see viewing in MLB front offices. Nevertheless, some scouts who watched Abreu in international tournaments slotted him in as more of a .260, 25-30 homer type than a world-beating slugger. The skeptical take: He's a "slider speed bat" guy who will wear out back-of-the-rotation starters, but will have trouble against the Max Scherzers and Justin Verlanders of the world. Those assessments elicit a chuckle from Ventura, for obvious reasons. Who doesn't have trouble with Max Scherzer and Justin Verlander? "You hear stuff like, 'You can jam him,'" Ventura said. "Well, I hope so. Usually the really good hitters get jammed, because they're staying through the ball and not flying open." 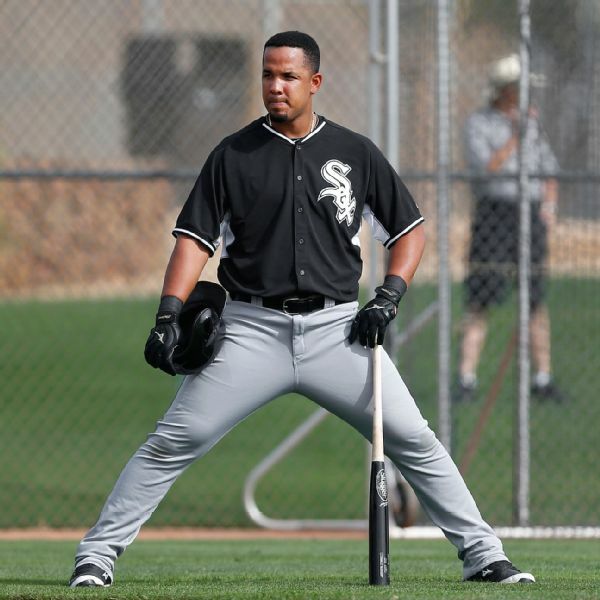 If Abreu struggles with the adjustment to the big leagues, it won't be for lack of preparation. The consensus in camp is that he has spent more time in the cage than any hitter on the Chicago roster this spring. Abreu arrives early in the morning, and lingers after everyone is gone to either reinforce good habits or iron out the kinks when his swing doesn't feel right. Amid the sweat and the calluses, he finds comfort in his routine. 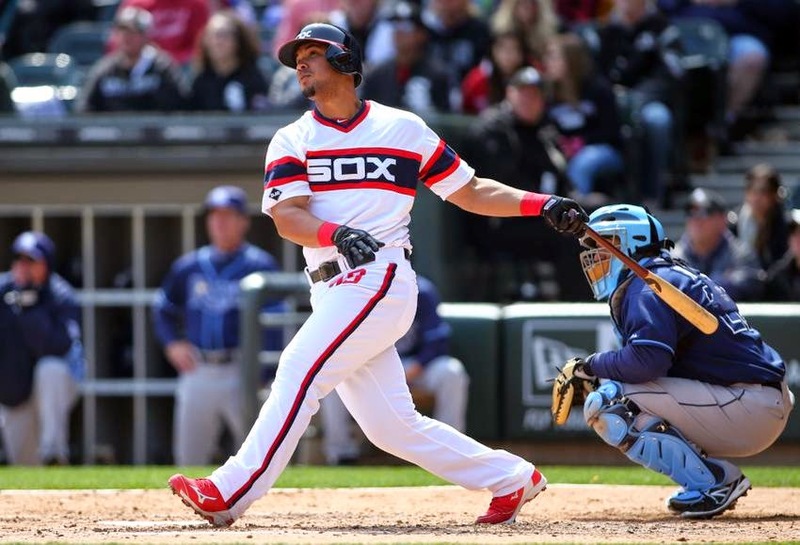 Is Big-Money Cuban Signing Jose Abreu Capable of Instant MLB Stardom? The Chicago White Sox made Jose Abreu the richest Cuban player in Major League Baseball history this offseason, inking the slugging first baseman to a six-year, $68 million contract through 2019. Yet, as is the case with any big-name international signee, the 27-year-old will now be expected to produce out of the gate this season, presumably hitting in the middle of order for the White Sox. Cuban players have made an immediate impact in the major leagues in recent years, with Yoenis Cespedes’ eye-opening rookie campaign in 2012 or Yasiel Puig’s historically good 2013 season serving as prime examples. Though they both struggled at times in their stateside debuts, each player’s respective ability to make adjustments allowed him to overcome said struggles and turn in an impressive rookie campaign. Although Abreu is a much different type of player, the big-money Cuban import has the makings of a future star in the major leagues. Abreu put up monster offensive numbers annually during roughly a decade playing in Cuba's Serie Nacional. In 2009-10, Abreu finished third in the league’s MVP voting—behind well-known mashers Alfredo Despaigne and Yulieski Gourriel—after batting .388/.542/.786 with 30 home runs and a 55/74 K/BB ratio in 94 games. In addition to drawing 32 intentional walks, he also led the league in on-base percentage and slugging while finishing second in batting average and home runs. During the following season, Abreu put himself on the map with one of top offensive performances in Serie history. Appearing in 77 games, he batted .448/.592/.952 with 16 doubles, 37 home runs and a 37/66 K/BB ratio, and was subsequently named league MVP. During the regular season, Abreu tied Yoenis Cespedes with 33 home runs despite missing 23 games with bursitis in his shoulder. Abreu once again posted huge numbers during the 2011-12 season, batting .394/.543/.835 with 18 doubles, 37 home runs, 103 RBI and a 43/80 K/BB ratio in 92 games. Although he paced the circuit in batting average, on-base percentage, slugging and OPS, he finished behind Despaigne in the end-of-season MVP voting. Last year, Abreu furthered his success by batting .344/.479/.604 with 17 doubles, 19 home runs and 43/58 K/BB ration in 83 games. However, his season was cut short due to his participation in the 2013 World Baseball Classic, in which he batted .360/.385/.760 with three home runs in 25 at-bats. Listed at 6’3”, 255 pounds, Abreu is arguably the most prolific Cuban sluggers in the country’s rich baseball history. A right-handed hitter who showcases robust power to all fields, the 27-year-old employs a unique double toe-tap load to initiate an easy, but powerful, swing. While some scouts are divided about how his strength-driven bat speed will translate at the major league level, he does an excellent job of getting the barrel on the ball and uses his strength to drive it with authority from line-to-line. In previous international competitions, such as the World Port Tournament in Rotterdam and the World Baseball Classic last March, Abreu demonstrated the ability to square velocity, though he seemed to prefer pitches that allowed him to extend his hands. Like most Cuban hitters, Abreu can punish mediocre breaking balls within the strike zone but also chases better offerings off the plate. It's professional. That's another one of those things we liked about him, numbers-wise and talent...He has more of a professional approach for being a big guy, hitting the ball the other way, more aware of his pitch. That's stuff you like to see, the way they work, they go about it. He knows how to practice. You see that with guys even from other teams...You would try to peak over at Edgar Martinez in the cage to see what he was doing. When you play the Yankees, you get in the cage when Don Mattingly is in there to see what he's doing and why. Hopefully, he has that. His practice habits and the things that he does, he has the potential to do that. Though Abreu will have plenty to prove next season, it's hard to not get excited about his future when mentioned him in the same sentence as as Martinez and Mattingly. Compared to other recent Cuban players, there will be greater expectations tied to Abreu’s bat due to his projection as a middle-of-the-order first baseman. Plus, while Cespedes and Puig also provide value in the outfield and on the base paths, Abreu’s impact in the major leagues will depend solely on his ability to hit for power and drive in runs. Basically, he has a smaller margin for error as a bat-only player. As you can see, both the Steamer and ZIPS projection models (via FanGraphs) believe that Abreu will be good for a .270-plus batting average (not driven by his batting average on balls in play), 25-plus home runs and solid strikeout and walk rates, especially for a first-year player. While there are plenty of question marks regarding Abreu’s performance next season, the ZIPS projections suggest that the 27-year-old’s production will rank in the top five among AL first baseman. Granted this is purely speculative, but it's difficult to envision him not making an impact next season in the major leagues. Yasiel Puig, el espectacular jardinero cubano de los Dodgers de Los Angeles, celebró el domingo doblemente. Por la barrida de su equipo frente a los Rays de Tampa Bay y por la fuga de su compatriota José Dariel Abreu. Puig no pudo contener una exclamación cuando se abordó el tema de la estampida de Abreu durante una entrevista con ESPNDeportes en Los Angeles. "¡Arriba Cienfuegos! Es el segundo cienfueguero que se va y yo estoy muy contento", exclamó Puig, entrevistado por el veterano periodista Rigo Cervantes. "Estoy muy contento de que él ya está aquí, ahora y espero que le salgan bien las cosas". La fuga de "Pito" Abreu, de 26 años, comenzó a mencionarse en las redes sociales desde la tarde del pasado sábado. Ayer el periodista Jorge Ebro de El Nuevo Herald citó a dos agentes beisboleros no identificados que confirmaron su salida de isla. La noticia era también conocida y comentada dentro de Cuba. Abreu, primera base titular del equipo Cuba y los conjuntos de Cienfuegos, es considerado por muchos como el mejor bateador de la pelota cubana hoy. Según las informaciones difundidas, Pito Abreu salió con su familia a Haití y luego cruzó hacia la República Dominicana. Tras asistir al XIV Torneo Interpuertos de Rótterdam, Holanda, el jugador fue excluido de la selección nacional para el tope amistoso con un equpo de Estados Unidos en ciudades norteamericanas bajo el argumento de que padecía una lesión. Puig y Abreu compartieron durante años en los rósters del equipo Cienfuegos. Puig es natural de Palmira y Abreu de Mal Tiempo, en Cruces. "Este es su momento que le dio Dios y espero que todo le salga bien en su carrera, ya que él se demoró un poco en venir al mejor beisbol del mundo, pero, finalmente, él ya está aquí", manifestó Puig. "Yo espero con el equipo que esté, le vaya muy bien y sé que le va a ir muy bien". Puig considera que Abreu viene a Estados Unidos inspirado por las hazañas de otros peloteros cubanos que ahora se desempeñan en Grandes Ligas: "El se fue -declaró- porque le llamó la atención lo que estamos haciendo nosotros, todos los cubanos". Interrogado sobre los reportes que indican que Abreu podría llegar a firmar un contrato más ventajoso que el de Puig, el cubano mejor pagado en Grandes Ligas con $42 millones, Puig no lo sintió como un reto. "Es de mi misma provincia y es el segundo que se va. Yo fui el primero que me fuí y rompí el récord y si él rompe el récord mío, pues será algo bueno", comentó. Puig ha sido clave en el repunte de los Dodgers, que encabezan la División Oeste de la Liga Nacional con récord de 67-50, y todo indica que estarán en la postemporada. "Yo no la huelo, yo ya estoy en la postemporada", dijo el novato cubano.